New York Liberty Senior Vice President of Business and Basketball Operations Kristin Bernert announced on Monday that the team has signed free agent guard Tanisha Wright, center Carolyn Swords and forward Rebecca Allen. Per team policy, the terms of the agreements were not disclosed. Wright, a 10-year veteran of the WNBA, has spent her entire career with the Seattle Storm, including winning the WNBA Championship in 2010. A four-time WNBA All-Defensive First Team selection, she averaged 8.0 points, 2.3 rebounds and 3.6 assists per game in 2014. In 28 playoff appearances, Wright has averaged 10.3 points, 3.1 rebounds and 3.1 assists. Swords, a 6-6 center, is in her fourth season in the WNBA. She was selected 15th overall by the Chicago Sky and averaged 3.7 points and 2.6 rebounds per game in 2013. Swords is currently overseas in Italy competing for Umbertide, averaging 13.0 points and 7.4 rebounds per game. Allen, a native Australian, is in her sixth season in the Women’s National Basketball League, currently playing for the Bulleen Melbourne Boomers. A 6-1 forward, she is averaging 14.0 points and 6.1 rebounds per game. In 2014, Allen was named the WNBL Defensive Player of the Year. She also represented the Australian National Team at the 2014 FIBA World Championships in Turkey. 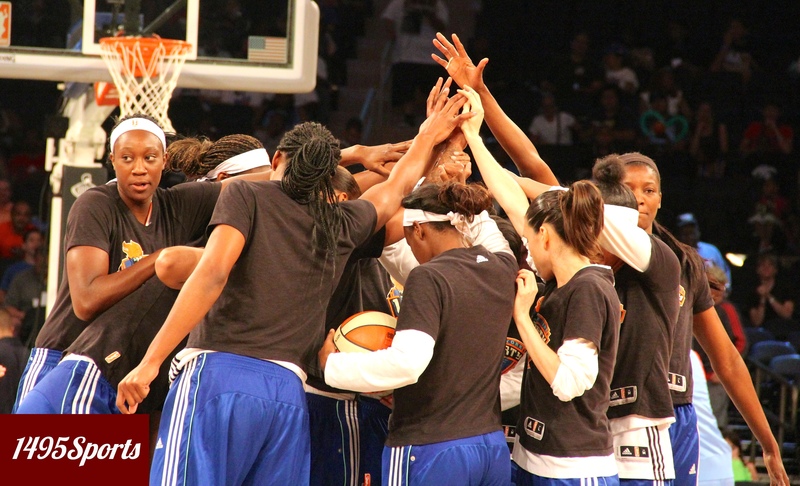 The Liberty will open the 2015 regular season on Friday, June 5 at 7:30 p.m. at Madison Square Garden against the Atlanta Dream.